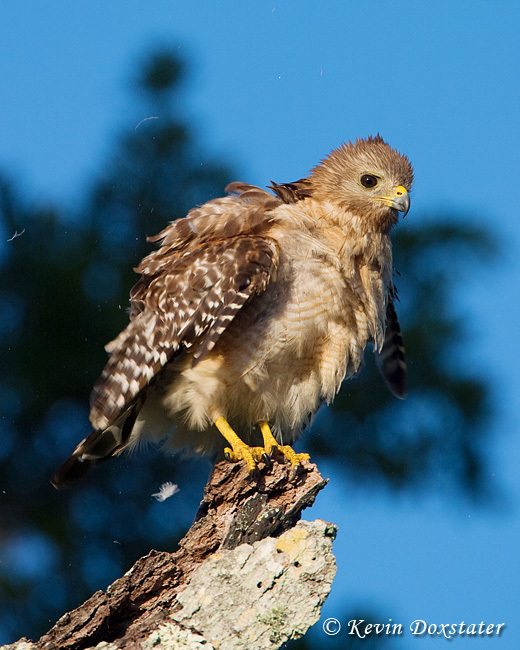 It seems that most of the time when we bird watch we're trying to see as many as we can within the time allotted. But do you ever just watch them? It's easier, I suppose, when photographing them, since you frequently will stay with a subject for an extended period before moving on. 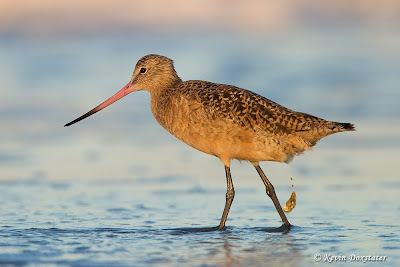 The thrill of the chase is definitely fun, and I'd guess that a lot of my birding is like that. But there are definitely times when I'm without my camera that I like to just sit back, watch, and see what my feathered friends are up to. This month's post is a series of images culled from some features I did a couple of years ago on my blog (which I'll start writing again soon . . . promise) capturing bird behaviors. I probably have more photos of birds taking baths that I can ever use, but it really is fun to watch them splashing around. American Robins come to my bird bath a lot, they seem to really like bathing. One day I hope to finally catch a hummingbird - I've seen them in action, but never when I have a camera handy. Unlike the robins who, being much larger, can just jump right in the bath, the hummingbirds hover and dip into the water to get wet. Preening is another common behavior I've seen many times. It usually followed by a good shake to the feathers sorted out and back in the proper place, which is what this Red-shouldered Hawk is doing. 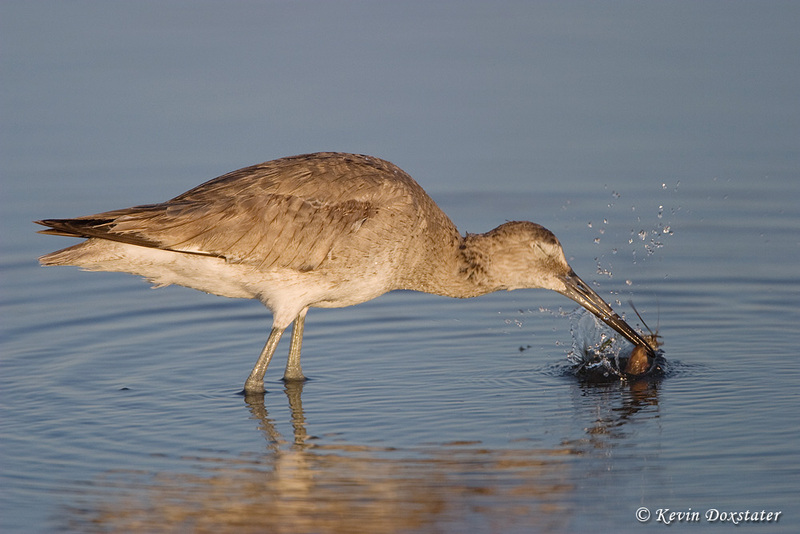 Shorebirds (sandpipers & plovers) are just about my favorite group of birds and I'd made some nice photos of this Willet at Fort DeSoto Park in Florida when it decided to actively hunt for some food. I managed to get this shot just as it was pulling a very nice catch out of the tide pool. 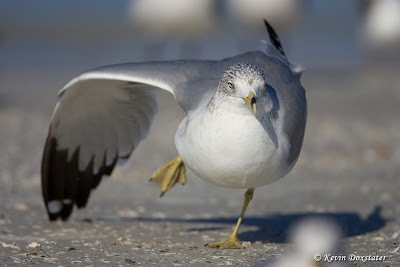 When not actively feeding, birds need to get their sleep and, just like us, when waking it's always nice to get in a good stretch like this Ring-billed Gull is doing here. 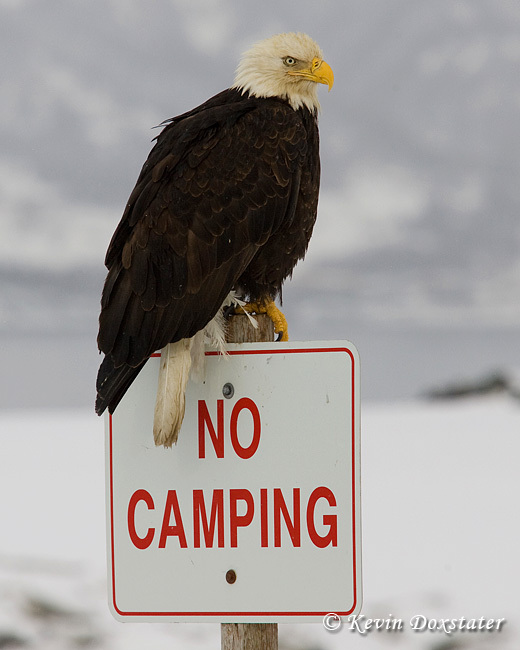 When not sleeping or eating, maybe a bird needs a job - looks like this Bald Eagle in Homer, Alaska found one patrolling for illegal campers. Had some some beautiful evening light to work with for my very first encounter with Marbled Godwits but, when ya' gotta go . . . Apparently American Crows like Buffalo Wings, too. 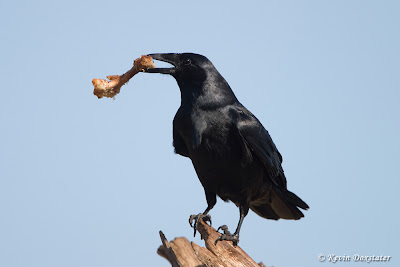 This one was showing off its prize to some of its friends on a day I was out looking for Bald Eagles - at a landfill! Courtship behavior is always fun to watch, though it seems like this female Northern Cardinal is being kind of aggressive. He looks like he's a little surprised, too . . . 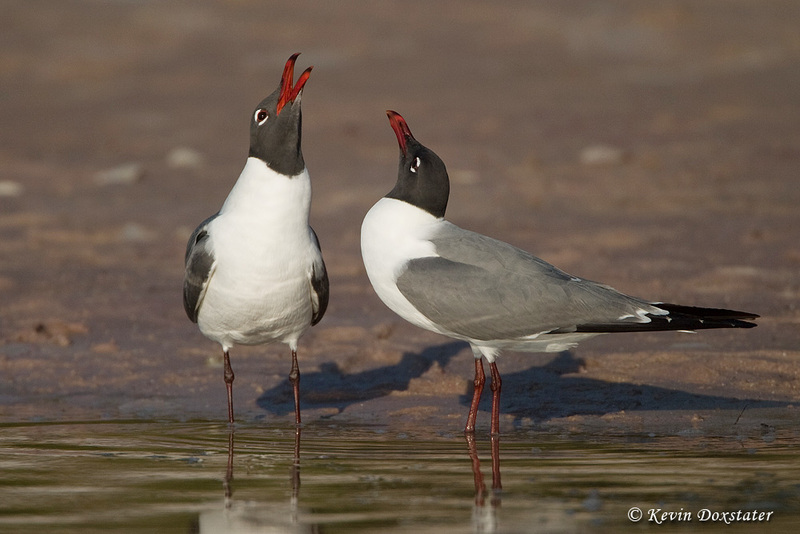 Laughing Gulls in full breeding color are striking birds - one of the things I miss about not living near the coast. Here the male was telling her how beautiful she is . . . I think, anyway. He was really making some odd sounds, sounds I would not define as "singing." And when the ritual feeding, serenading, and all the other courtship behaviors are complete . 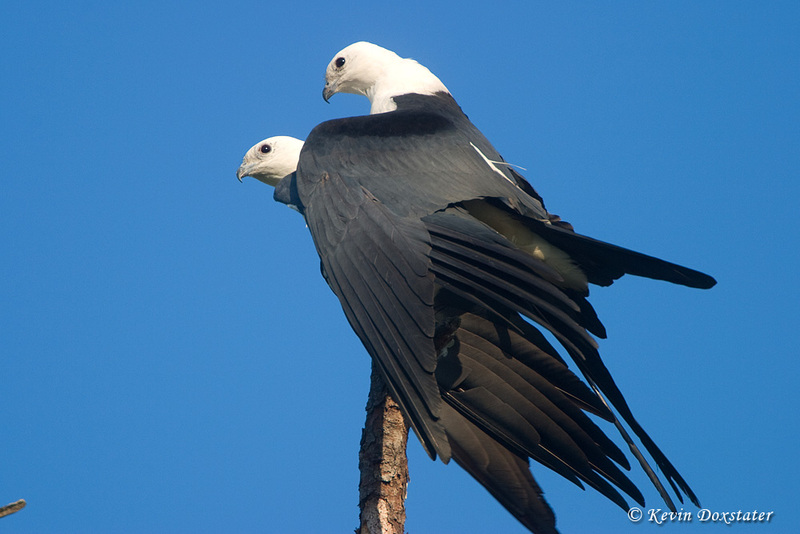 . . here we have a pair of Swallow-tailed Kites, um, "being birds." Great series of images Kevin! I'm always caught between trying to see lots of species and focussing on one, but really the only ways to capture interesting behaviors are to get really lucky of have some patience and stay with the bird. Delightful post Kevin! Your photos and text started my day with a grin. Sometimes getting a couple great bird photos is more fulfilling then seeing how many I can see in one day. But, I definitely have my chase and count days and my photography days and sometimes just my sit and watch days. Unbelievable set of images, such a large number of top-class offerings. Wonderful post, and fantastic images! Wonderful images Kevin, and I love your narration too! And about that blog. . . I really miss it. I hope you keep your promise and get back to writing soon! Awesome images. 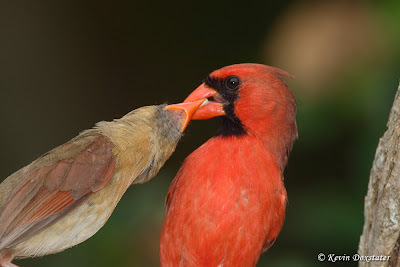 I love the expression on that cardinal's face. I love your image and text on the Bald Eagle! Great post Kevin! Your photos are amazing!! Superb images.. the last mating shot is the icing on the cake!! This is a fun, eclectic post, Kevin. Appreciate your great photos. The courtship of Cardinals feeding one another, the hot wing eating Crow, the Ring-billed Gull is way too fun and then add in the Robin which makes me so happy with their dawn and dusk songs, and then of course...my fav...the Red-Shouldered Hawk...I just want to pluck that one feather on it's left side;) Lovely post! Thanks so much to each of you for your kind comments! Glad you enjoyed my post for this month! The photos are undeniably terrific, Kevin! 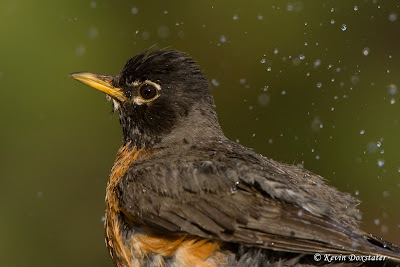 I agree that it is a fun experience to watch the birds bathe. If you would like to see such sight right in your garden, you simply have to put a bird bath, and it will effectively draw the attention of the birds. Superb photographs along with your wonderful narrative makes for an outstanding post! 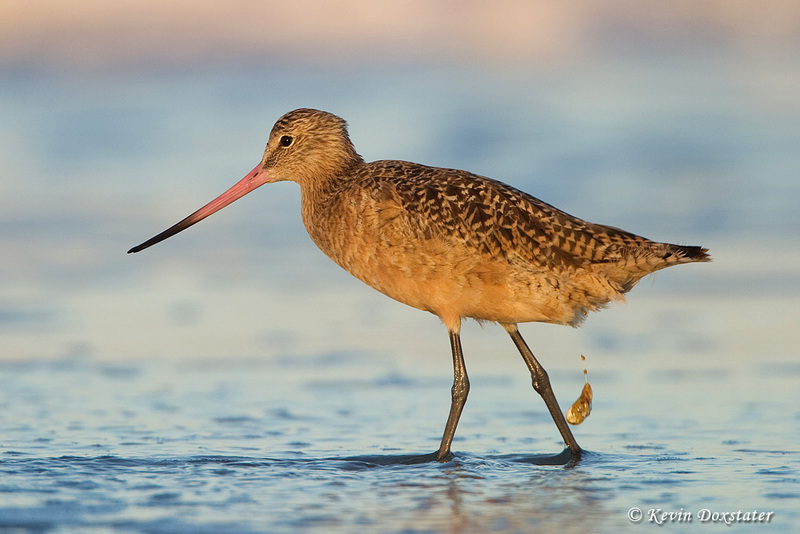 Fantastic images of bird behavior! Thanks for this superb post, Kevin! I enjoyed it so much!